“Team Sky finished the 2016 UCI WorldTour season in third place, and they are always a consistent, high-performing team." Welsh cycling icon Geraint Thomas will return to Adelaide for the 2017 Santos Tour Down Under to kickstart the UCI WorldTour season. In 2016 Thomas, 30, retained his Volta ao Algarve title before winning the prestigious Paris-Nice trophy. 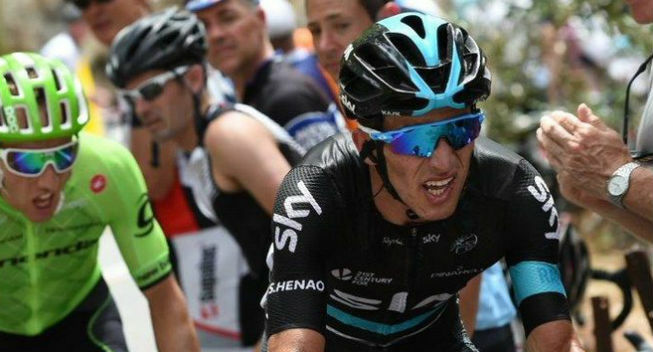 Joining Thomas is Sergio Henao who had a successful 2016 Santos Tour Down Under campaign, finishing third overall and winning the King of the Mountain jersey for the season opener. “Team Sky finished the 2016 UCI WorldTour season in third place, and they are always a consistent, high-performing team,” Race Director Mike Turtur said. “They also have an Olympic gold medallist among their starters in Owain Doull who won track gold at Rio in the Team Pursuit for Great Britain." The Team Sky rider roster competing at the 2017 Santos Tour Down Under will be led by Brett Lancaster (Great Britain) and includes riders Geraint Thomas (Great Britain), Sebastian Henao (Colombia), Sergio Henao (Colombia), Owain Doull (Great Britain), Luke Rowe (Great Britain), Ian Stannard (Great Britain) and Danny van Poppel (Netherlands).